Let us help you achieve LEED Certification for your sustainable project. 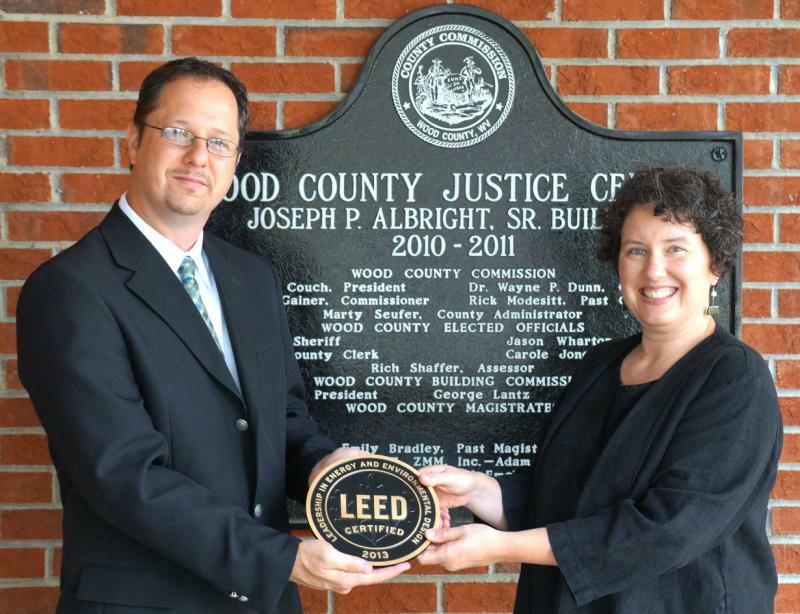 Above is a photo of our Co-Founder, Tim Crowley - LEED AP with Jill Watkins of ZMM from a LEED presentation ceremony for the Wood County Justice Center. working alongside JD&E and ZMM with the Wood County Commissioners office. Click the LEED AP link above to learn more about why being a LEED AP is important and what the Leadership in Energy and Environmental Design program is all about. Eastwood Elementary project on which we served as theLEED Construction Coordinator. A wise frog once said “It’s not easy being green”. In the not so distant past a more accurate statement might have been “It’s not easy or inexpensive being green”. Today both of those concerns could be taken to task. With increased levels of environmental awareness has come increased demand for green products and services. This increased demand has led to more manufacturers working to offer their clients “green” products and an increasing amount of design professionals become more versed in what it means to be green. Since there are more “green” products available, the prices for these products continues to drop. Likewise, since there are more design professionals gaining experience in green practices and procedures, the mystery behind what green is and how it is achieved is becoming clearer and therefore more economically attainable. In addition, there are more incentives being offered today than ever for green projects. Of course each of these examples only addresses the upfront costs for your green project. The most dramatic cost savings on green projects are realized over time. Energy consumption is lessened when systems are designed better. Operating costs are reduced when a building is constructed tighter and insulated better. Water efficiency and solar orientation have great long term paybacks. And let’s remember that the cost savings added to the knowledge that going green is helping you to be a better steward of what we have been blessed with has greater rewards than money can buy. 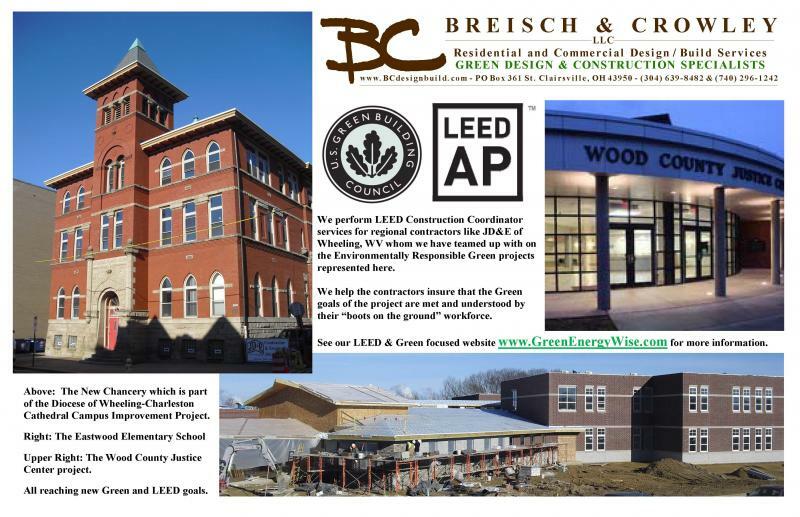 We at Breisch & Crowley, LLC are experienced in both commercial and residential Green Projects. We look forward to proving to you that Green does indeed make sense.